Young James Willis spent much of his childhood in Heber Springs checking out books from a one-room library in city hall. He loved to read. “My parents were very intelligent, but like so many people of their generation in Arkansas, neither graduated from high school,” he said. He worked from the time he was 11, delivering newspapers and as a shoeshine boy, later a grocery store stocker, a butcher at the local Piggly Wiggly, and as a house painter. At 13, he had saved up enough money to purchase a used set of Encyclopedia Britannica (that are now a part of the Walz Study in Cross Hall). Willis considered becoming a welder after years of shop in high school, until an opportunity to shadow a local lawyer at work introduced him to other possibilities. Willis would be the first in his family to accomplish that. 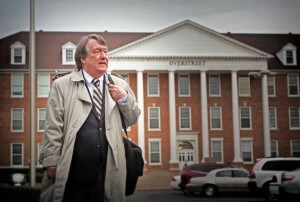 Awarded an academic scholarship, he came to SAU (then Southern State College) in 1963 when tuition was $125 a semester. Encountering Dr. Robert B. Walz in the history department would create a shift in his law school plans. Walz gave Willis a work-study job, and he worked closely with the professor during his junior and senior years. Willis would be the student that would obtain that achievement for Walz in 1967. That award took him to Duke University. Changes in the federal wartime draft system that eliminated deferments for students in graduate school ended his first Duke experience, but Willis managed to obtain his master’s in arts by August of 1968 and began teaching at Little Rock University. “My local draft board could not grant me a student deferment, but could and did grant me one as a teacher. So, like others in my generation, I legally avoided going to the army and to Vietnam,” said Willis. The LRU job would only last a year, as the school shifted toward the University of Arkansas system and wanted its teachers to have Ph.Ds. “When I reached the magic age of 26 and was no longer draftable, I was able to return to Duke for more graduate study, assisted by SSC’s Title Three federal grant program to upgrade its faculty,” said Willis. 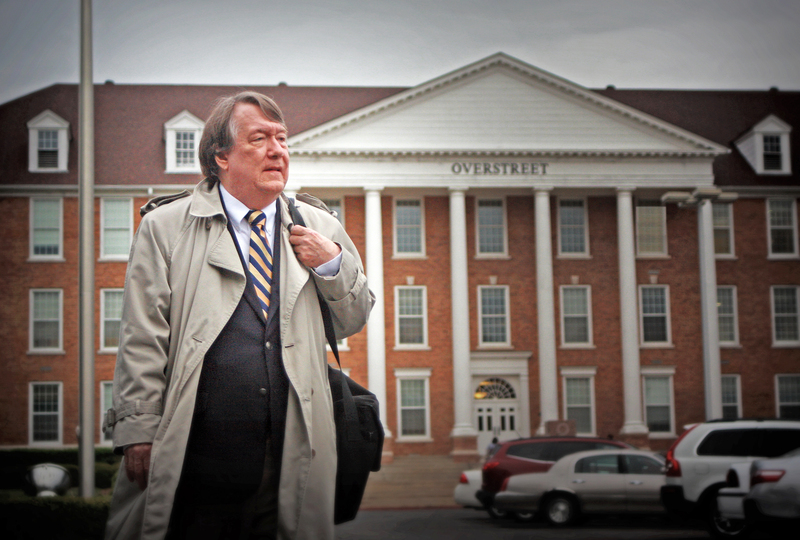 He returned to Magnolia with a Ph.D. and taught full-time from 1973 to 2005. He would serve as chair of the history, political science, and geography department twice in that time. Willis loved teaching in the classroom, but after his retirement from SAU in 2005, he worked part-time as the University Historian. He researched the school’s history from SAU’s 1909 beginning as the Third District Agricultural School to the tremendous changes that have occurred on campus as part of Dr. David Rankin’s Blue and Gold Vision launched in the early part of the 21st century. The result of Willis’s work is found in the book Southern Arkansas University: The Mulerider School’s Centennial History, 1909-2009 and in last year’s installation of The Historic Campus Plaza in front of Harton Theatre (the work also of numerous other people). He and Interim Magale Library Director Del Duke continue to work together to provide wider access to school history on the SAU archives web pages that include vast amounts of material, including photos and texts, and audio and video. Even though he has achieved some important things in his lifetime and began a historical legacy that will carry on through coming generations, Willis finds his greatest reward in the lives of students past. In his role as University Historian, Willis has contributed articles to The SAU Stater for several years, but this will be his last. He still eagerly encourages anyone with ties to SAU to purchase and read the history of the school. Royalties go to the SAU Foundation for student scholarships. Book excerpts can be found on SAU’s Archives site. “ I would like everyone to be aware of the institution’s remarkable past, its outstanding students and its caring faculty and staff who nurtured generations of students, many first in their family – like myself – to attend college, and helped them achieve their part of the American dream,” he said.